In 2018 Alberta joined other provinces in declaring bullying and harassment a workplace hazard. This is a result of the rising concerns over mental health, and it is pushing safety professionals away from the traditional small “h” health and safety. In those provinces that have made bullying and harassment a workplace hazard, it is rapidly becoming the number 1 issue for regulators to deal with. That should put it on everyone’s radar. Regulators are handing out orders to employers to investigate harassment complaints and conduct hazard assessments, put programs in place and provide necessary training. 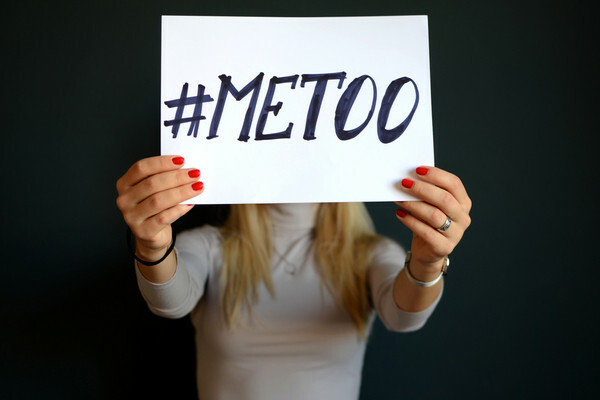 Most people are ill equipped to investigate a harassment complaint and the versions of events can shift. The person complaining tends to be traumatized leading to inconsistent statements. North American workplaces tend to prize those who are driven, can accomplish goals and get others to work harder. While those attributes exist in every leader, they also describe bullies. There is a big difference, but it is sometimes hard to see. Addressing these issues will challenge all safety people in the coming years. Determining the safety of a workplace is a fairly well-established process. However, determining the mental health of a workplace for a specific person is not. Bullying and harassment is not about physical hazards or potential risk. It lies with perception, feeling and human interaction. Complex is an understatement. I have seen many bullying and harassment investigations make things much worse by being done poorly or being delayed. Does your organization even have a process that is clear and understandable? The question of random testing was clearly spoken to by the Supreme Court of Canada in the Irving decision in 2013. However, there has been a battle in Alberta between energy giant Suncor and the union representing many of the workers, Unifor. In December, Unifor and Suncor reached an agreement and random testing will proceed in the first quarter of this year. While the case was not fully resolved, both parties seemed to agree that drug issues were present. To justify random testing, the Supreme Court of Canada has placed the burden of proof on the employer to demonstrate that it is needed and there are no other reasonable options. The requirement for testing had been contested by Unifor on the grounds that it was an infringement of worker rights and that there was no significant problem that would merit random testing. With marijuana legalization, Unifor may have conceded that Suncor’s argument for random testing to maintain worker safety had some merit. Unfortunately, this leaves no definitive decision on record regarding the imposition of random testing in a unionized workplace. Despite the doom scenarios and the many presentations at conferences regarding marijuana in the workplace, the sky did not fall. Online conversations were rife with opinion and ignorance on this topic. Most employers already had all the tools they needed to deal with legalization at their disposal. Drug and alcohol testing for cause has been with us for many years. The debate was around impairment, which is not appropriate at all. Drug testing is about setting reasonable limits. Workers who test positive are deemed to have violated the policy on drugs and alcohol. They are not deemed to be impaired. Having breached the policy does come with varying consequences depending on the situation and the findings of an investigation. Many safety professionals refused to participate in the marijuana legalization hysteria. In the end, the overall impact was moot. Many are aware that the Board of Canadian Registered Safety Professionals (BCRSP), brought out a new designation. Joining the CRSP is the Canadian Registered Safety Technician (CRST). The intake has begun and there is a lot of interest in the new designation. Who should chair the safety committee? CRST is meant to assist those with significant experience in the field make the leap to a national professional designation. The educational requirements are less than what is required for the CRSP and the exam will also be simpler. CRST provides a more logical career progression to safety practitioners across Canada as the CRSP may not be a good fit for everyone. I have written about this one before and the news is not terribly exciting or impactful. It has prompted the CSA and ANSI to review CSA Z1000 and ANSI Z10 to find alignment with the new ISO standard. Some governments are looking at it as a possible measure of safety or a tool to assess employers. I would still maintain that very few companies have a management system. Such things work well for large employers but not at all for small ones. “Management system” has become synonymous with “program” in much the same way many interchangeably use risk and hazard. BBS continues to wither. Is safety culture next? This is a surprising one in some ways. Behaviour based safety (BBS) has defined safety for 30 years, but more and more professionals are turning away and questioning the utility of BBS. Over the past years I have seen a growing number of safety professionals, and students, question the underlying assumptions of BBS. I see the same conversations happening around other buzzword-heavy pursuits, like “safety culture.” We see things like “safety differently”, “human and organizational performance” (HOP) and “human factors” being bandied about by people who have been selling BBS and are looking for the next thing. Understanding of these important concepts seems optional to some. Last year I wrote about the Fournier case in Quebec where a business owner was charged with manslaughter. Manslaughter simply means someone dies as a result of a law being broken. In this case it was the safety law. Sylvain Fournier was convicted in September and sentenced to 18 months in prison. In Ontario, the business owner of Rainbow Concrete in Sudbury, Ont. has been charged with criminal negligence causing death. Criminal charges were laid even though the Ministry of Labour had laid 12 charges in connection with a death on the company property on Feb. 5, 2017. Interestingly, the police and Ministry of Labour worked together on the case and the police found enough grounds to lay a criminal charge. Use of the negligence and manslaughter provisions of the Criminal Code may be on the rise. A recent story in Calgary highlighted the Westray memorandum signed by police services and the intent to investigate serious workplace incidents by police. Twenty-eight Calgary police detectives have received special training to assist them in completing these investigations. More police services are sure to follow suit. By the end of 2018, all federally regulated workplaces had to be complaint with the Global Harmonized System (GHS). Because provinces regulate most of the workplaces in Canada, Health Canada is trying to coordinate a simultaneous move to GHS. Health Canada owns WHMIS and now GHS. The controlled products regulations that governed WHMIS were replaced by the hazardous products regulations years ago. WHMIS 2015 is the transitional process and training to allow companies to prepare and train employees for the transition to GHS. No word on when the legislative changes will be made in the provinces. This has caused a bit of confusion, as suppliers are already providing safety data sheets (SDSs) instead of material safety data sheets (MSDSs) and GHS labelling is already in place on many products. In 2018, BCRSP was working in several provinces to establish at least a definition of what a safety professional is. There have been meetings with government and regulatory officials in Ontario, Alberta and British Columbia. The way to a recognized profession nationally actually lies with the provinces recognizing legitimate organizations and designations. It seems counterintuitive that to get a national profession, we must start in at least a few provinces. However, this is how almost all other professions have begun and become recognized and even regulated. BCRSP has a new commitment to advocacy for the profession and engagement with CRSPs and the new CRSTs. This has included providing comment and stakeholder engagement on major legislative and policy changes that would affect CRSPs and CRSTs. It will include more connect events and engagement with CRSPs and CRSTs in 2019. BCRSP is working with the Canadian Society for Safety Engineering (CSSE) on an accreditation framework to explore other possible designations. Work will be undertaken to establish an educational standard for safety programs in Canada as they vary quite a bit. 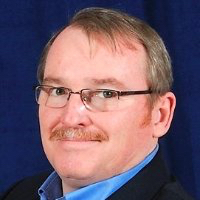 Dave Rebbitt is the president of Rarebit Consulting providing services across Western Canada. With almost 30 years in health and safety, Rebbitt has built numerous health, safety, and environment management systems along with some innovative processes and even developed specialized PPE. He is an experienced speaker and writer on a wide variety of topics. He also develops and instructs courses at the University of Alberta OHS program. He can be reached through www.rarebit.ca.